AMTECH specialize in the Safety Relief Valves. We offer our safety valves, safety relief valves and relief valves to a number of industries including, but not limited to Chemical, Petrochemical, Refining, Power, Pulp and Paper, Oil and Gas, Sugar, Hospitals and Colleges worldwide. In addition to servicing our local and national markets with our safety valves, we also have a business presence established in Europe, Australia, Mexico, Middle East and Latin America. Regardless where you are located, we can provide a safety valve to suit your needs. Safety valve is a valve that opens automatically to relieve excessive pressure.Safety valve is giving harmless vent to feelings of tension or stress. Minimum ﬂow resistance of media like steam ,oil,gas ,air hot water ,or any fluid. 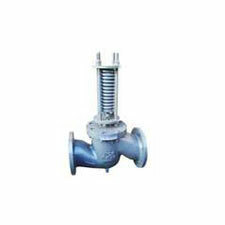 The valves are designed to withstand temperature upto 450 degree celcious or as per customized.